November is not the best time for rest in Russia. In most parts of the country weather doesn't look too attractive. However, there are several places that are of interest for tourists this month. Embark on an unforgettable journey. 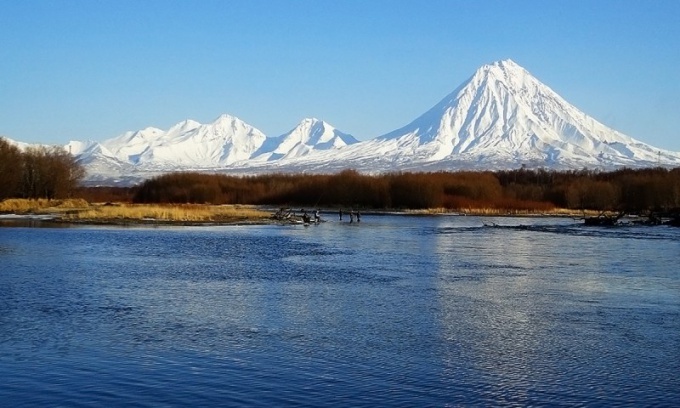 If you want to see something unusual, go to Kamchatka. One-day tour on a snowmobile to Avachinsky volcano you will remember for years to come. Enjoy the beauty of the volcano and admire the unique landscapes of distant lands. You can spend a vacation traveling through the mountains in the district of Adler. In November you will be able to enjoy the pleasures of a holiday on the Black sea in a relaxed atmosphere. At this time of the year you have the opportunity to visit the sanatorium at low prices. Enjoy the beauty of the Russian capitals. In November you can find something special in these images of Moscow and St. Petersburg. If the capitals you are bored, take a look at the city through the prism of any subjects. For example, a stroll through the streets of St. Petersburg of Dostoevsky. There are no Imperial luxury, here is a completely different life. In November special charming Vladimirsky Prospekt and Sennaya Ploshchad, Usupovskiy garden and home Sony Marmeladova. Moscow will be pleased to watch from the heights. Visit the Sparrow hills, climb to the observation deck of the Ostankino TV tower, visit the observation platform of the Cathedral of Christ the Savior. Visit the cultural attractions of our country. If you want to take a little tour to the places associated with the history of Russia – go in the Tyumen region. Tyumen is the oldest city of Siberia, Tobolsk was the capital of the Siberian province. In these parts the writer lived Ershov, died here Ermak in Tobolsk earth grew Rasputin and was exiled Decembrists. If you want to enjoy the nature and see the ancient fortress – go to Dagestan. Classic route "Erpel – Gunib" will reveal the unique nature of the Republic and centuries-old culture of the region. Want to enjoy Russian hinterland can go to the Ryazan region. There are great reserves.